This year’s National Stamping Month special features the Memories in the Making Cut Above® layout kit. Do you know what “Cut Above” means? Lucky for you … it’s ALL PRECUT! You’ll enjoy the paper pieces, punch outs and stickers included in this kit! Makes it easy, peasy to create a calendar for you or as a gift! 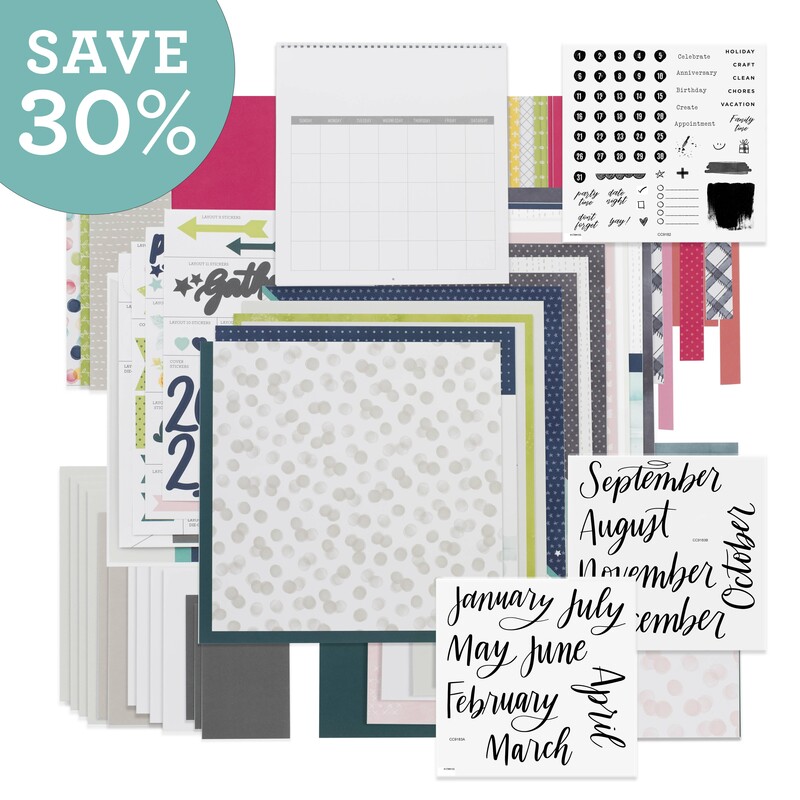 With this kit, you can create 13 single pages, or add a few additional products to turn this layout kit into a calendar! This special includes two exclusive stamp sets: Memories in the Making — Days, and Memories in the Making — Months. Use these stamp sets to add months, date numbers, and other details to your calendar. 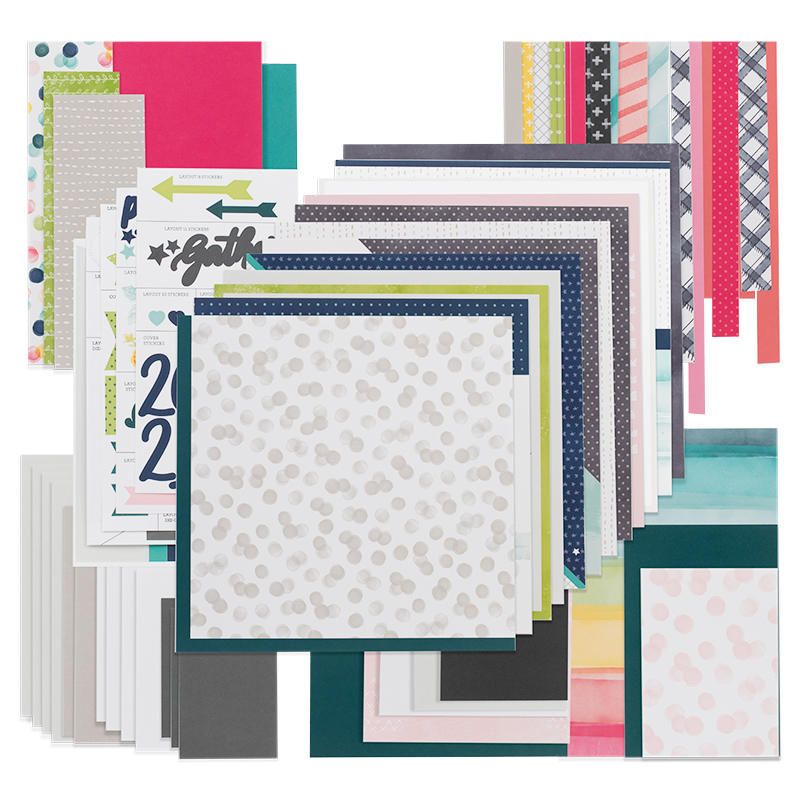 Materials to make 13 single-page scrapbook layouts, including pre-printed base pages, die-cuts, stickers, photo placeholders, and instructions. And if you are interested, you can purchase the stamp sets above SEPARATELY. View all your OPTIONS HERE on this LINK. When you host a party reaching the 3rd Level of $350 in sales (or higher) and submitting it by October 5th, 2018, you will receive the Memories in the Making—Days and the Memories in the Making—Months stamp sets, FREE. That’s a $47.90 value, totally free! Contact me for information on hosting an in-home or online party. When you join my team with Close To My Heart in September, receive your two FREE stamp sets below! Visit my New Consultant FAQ page for more information on joining my team. You can click HERE to sign up today!